Perfect for the single child family who will be participating for just one year. Includes Student Workbook and a one year subscription to Video Series at a significant savings. This new spiral-bound Apologetics Student Workbook breaks down all of the new apologetics questions into 24 manageable topics – taking the scary out of apologetics for good! More Information Preview the first few pages of the Fearless Apologetics student workbook HERE. For more information visit this page. 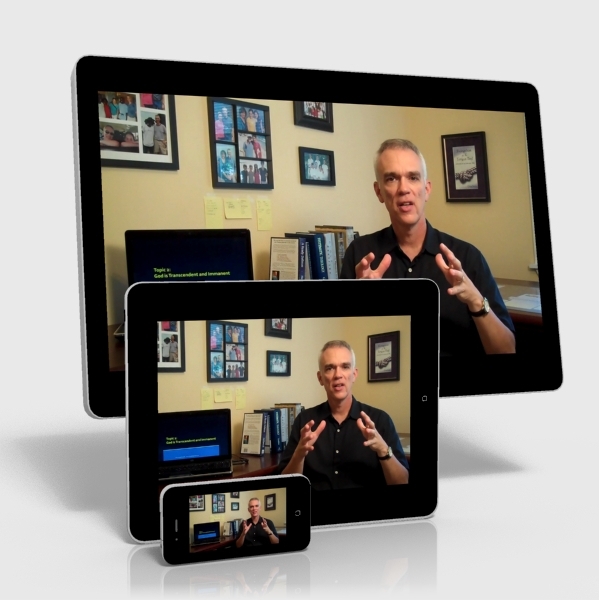 The same videos Chap uses in his Apologetics Class are now available to you through this online subscription. 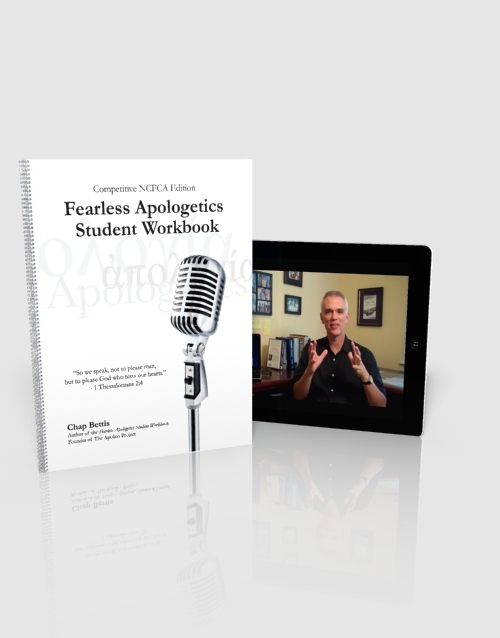 The videos are constructed to parallel the Fearless Apologetics Workbook and go indepth on the content of each topic. *You will be asked at check-out to provide the email address you would like to have access to the videos. This is the email we will send your video access password to. For more information visit this page.